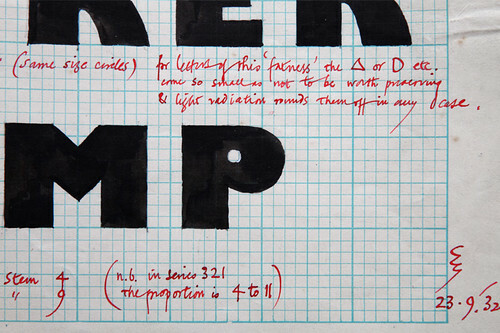 The ‘Pencil to Pixel’ exhibition, which opens this Friday at Metropolitan Wharf in London, gives visitors is a chance to see some of Monotype’s extensive archive of original artwork, type drawings, arcane artefacts (including justification drums and ships’ curves) and publications. 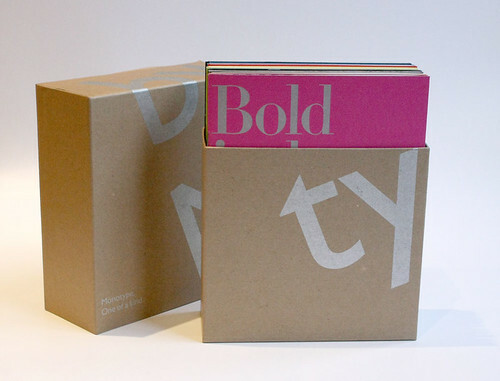 Readers may have glimpsed a few of these items earlier this year at ‘Beauty is in the Making’, but this show is bigger, and brings the Monotype story right up to the present day. Admission is free, and you can book a ‘guided tour’ (also free) via Eventbrite. 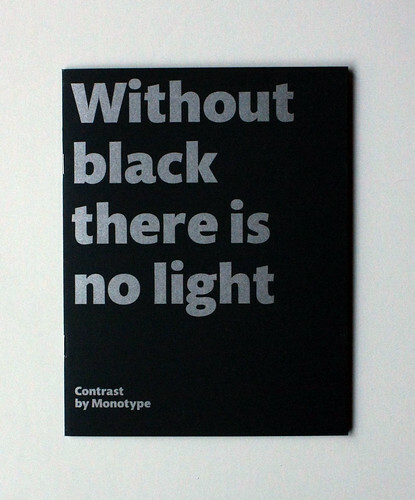 The event also marks Monotype’s publication of a series of twelve handsome type specimens (above), or ‘collections’, with texts, images and typefaces chosen by prominent figures from design and visual culture, including photographer Rankin, Pentagram’s Abbott Miller and Eye’s Simon Esterson. 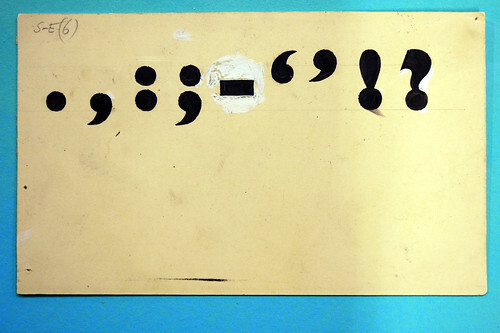 Other collections include ‘Found in translation’ (chosen by Nadine Chahine and Akira Kobayashi) which includes Arabic and Devanagari alphabets set in Palatino and DIN Next, as well as Japanese, Korean, Chinese and Thai. 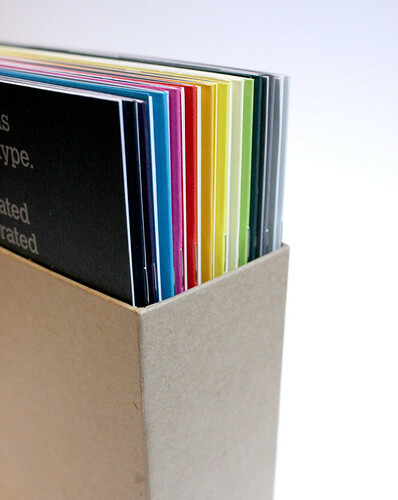 The sturdy box of all twelve booklets (below, designed by SEA) will be available at the exhibition shop. 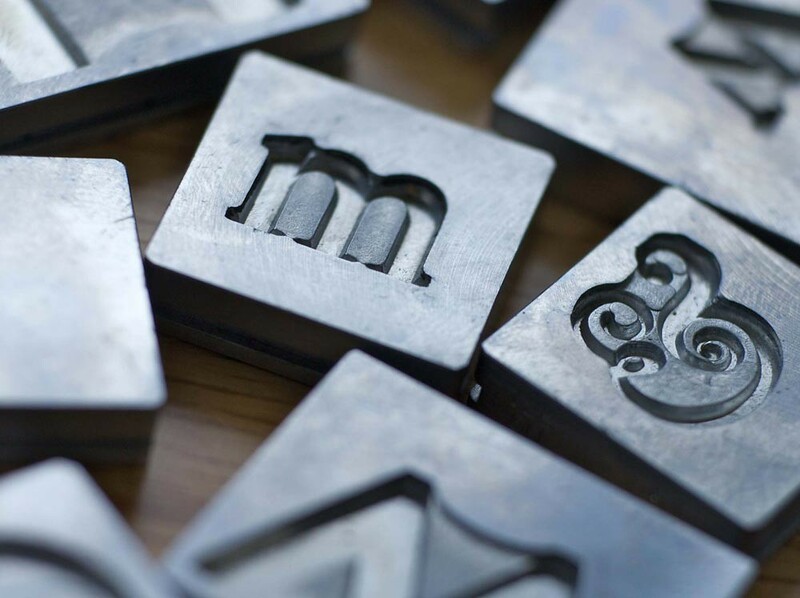 For more about Monotype’s archive and rich typographic history see the forthcoming special issue of Eye, out next week, and on sale at the exhibition shop.